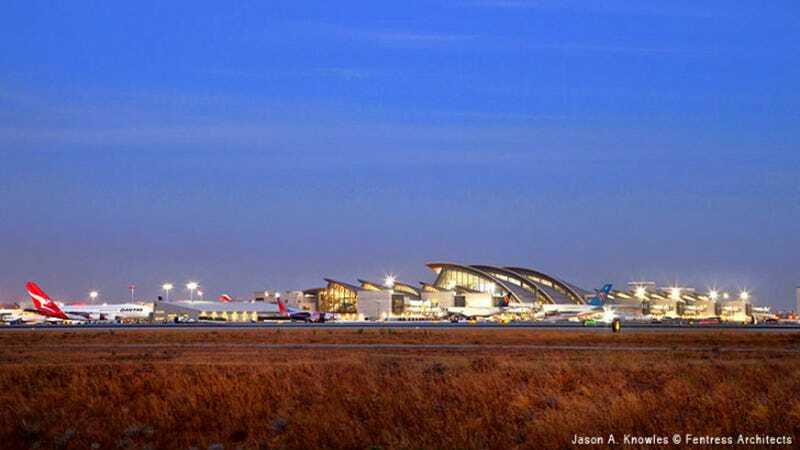 For the first time in a quarter century, Los Angeles International Airport is getting a facelift. Crews have just completed the first phase of renovations to The Tom Bradley International Terminal at LAX and it looks simply stunning. The Los Angeles ambiance is captured with Pacific Ocean-inspired roof forms that recall rhythmic waves breaking on the shore. The wave-like ceiling will reduce solar glare and heat from the ocean on the west and bathes the terminal in natural light from the northeast. Expansive glass curtain walls offer dramatic views of the airfield and the nearby Santa Monica Mountains. The architecture unifies the airport and pays homage to the Theme Building's parabolic arches.